Sky Go for Android devices will launch "in the coming months" a spokesperson has confirmed to TechRadar. Sky Go has been a huge hit for Sky – amalgamating its on demand services and proving popular not only on computers but also on iOS devices like the iPhone and iPad. However, thousands of Android users have been checking back for months to see when an Android version will be arriving. Sky insisted months ago that it hoped to launch an Android application 'this year' and a spokesperson confirmed that things were still on track. "Sky Go on Android, it will be launching in the coming months," they told us. Although the news will do little to still the frustrations of people with Android devices - which are proliferating in both the mobile phone and tablet markets – it does at least prove that work is ongoing, and that a Sky Go for Android UK launch is likely this year. 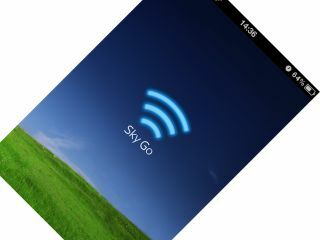 Sky revealed in its quarterly financial reports that there are 1.6 million users of Sky Go in the UK, all the more impressive considering that it is not available on more devices. Recent figures from Kantar state that half of the UK now owns a smartphone and half of those have an Android device. Which suggest that Sky is currently missing out on up to a quarter of its user base if it wants to continue the growth of Sky Go.